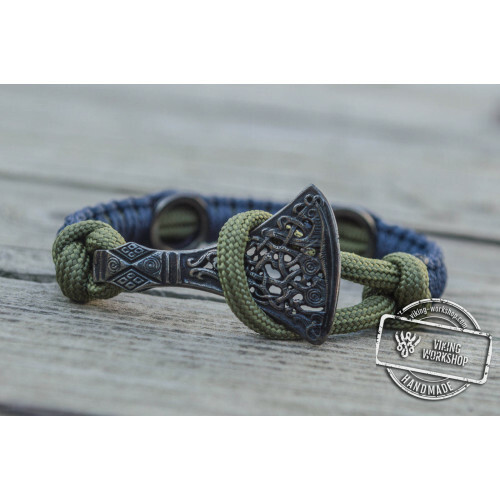 Enjoy a cheerful modern representation of ancient finding. 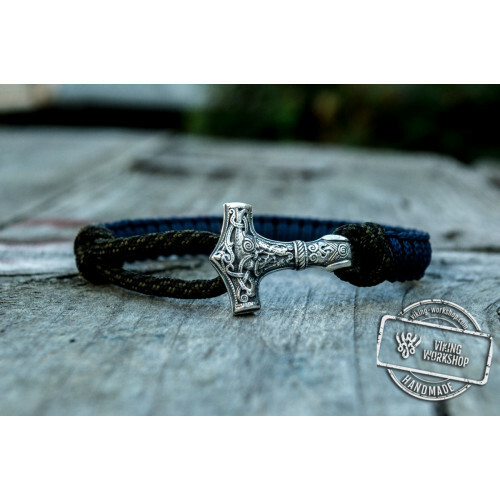 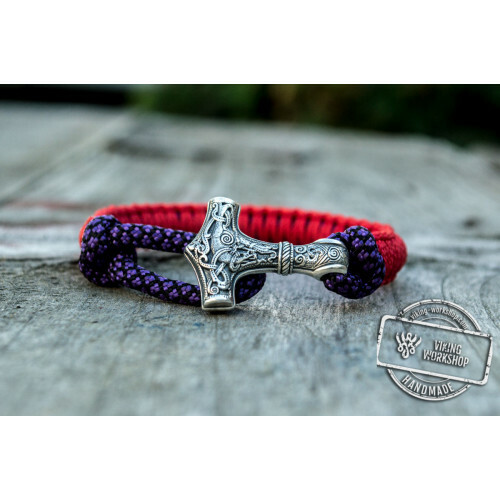 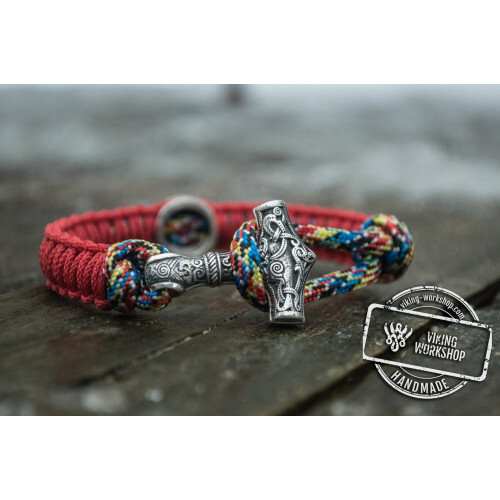 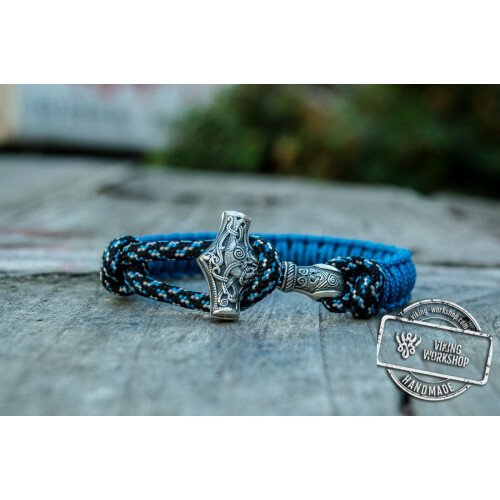 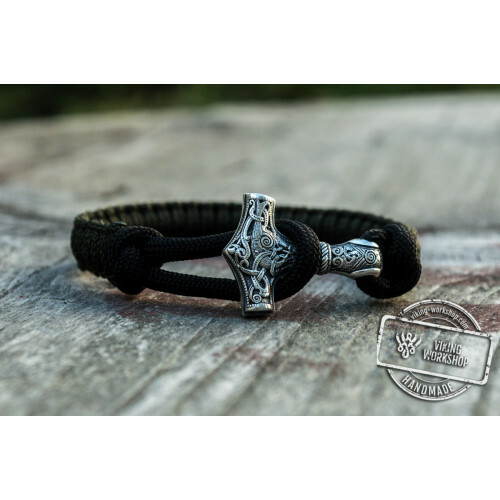 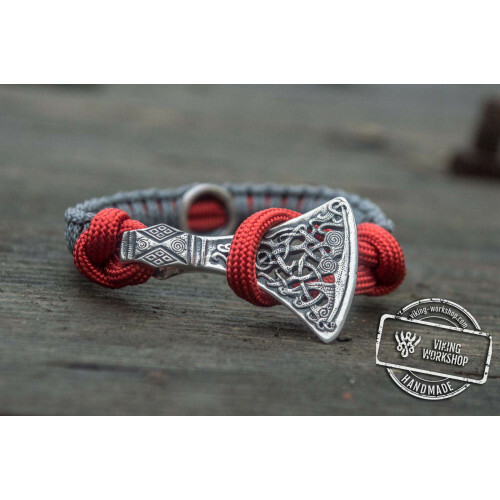 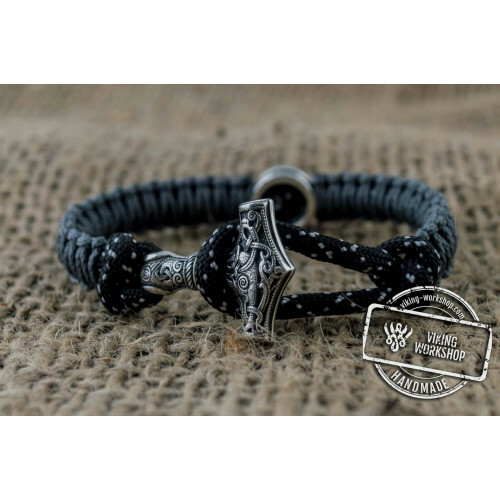 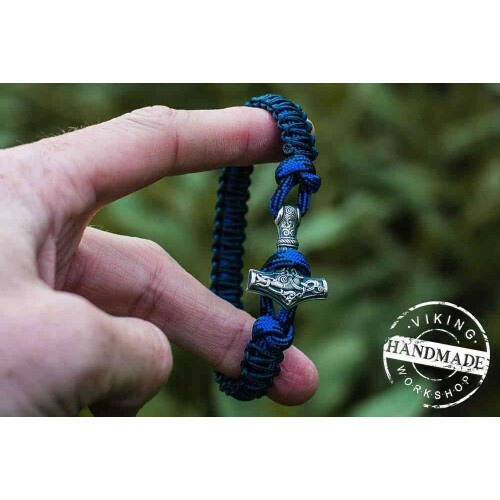 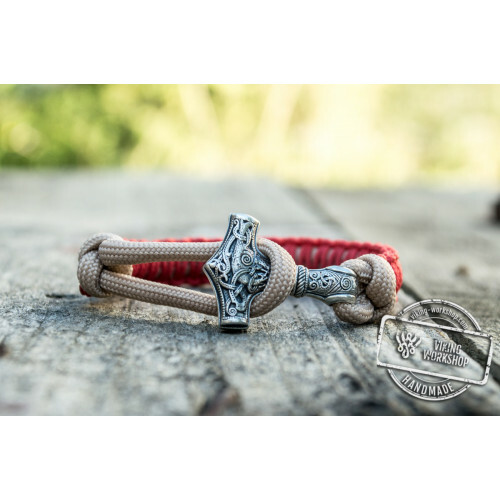 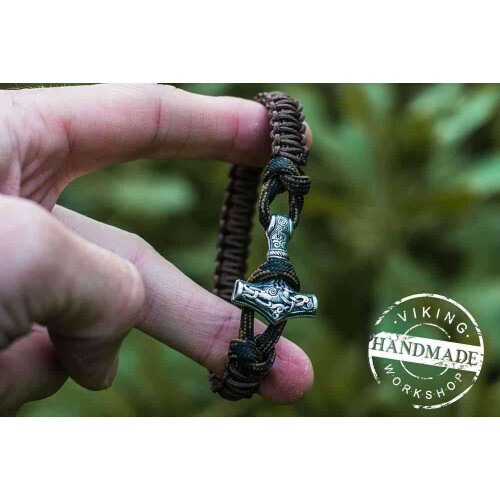 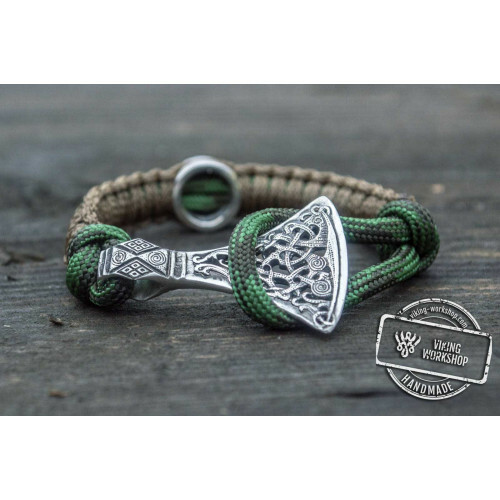 Thor's Hammer is a magic protective charm widely mentioned in Norse mythology as all defeating and destroying powerful tool. 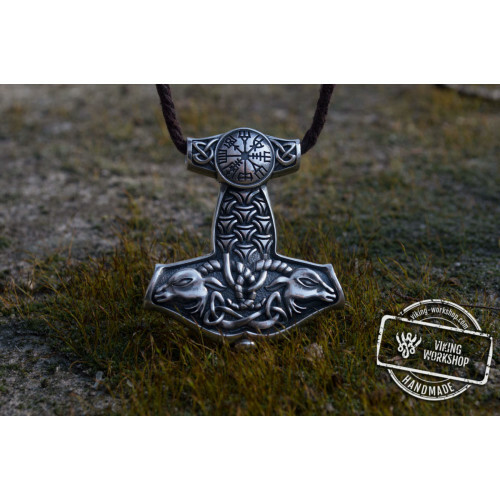 The hammer is also mentioned in various ceremonies and rituals as burial, marriage or birth. 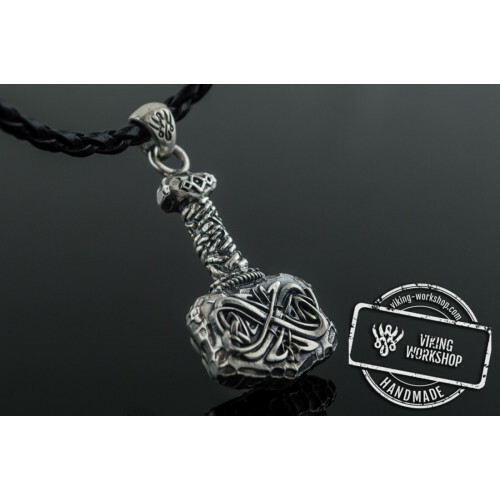 The deity tool was used to consecrate souls and bodies in spiritual ceremonies. 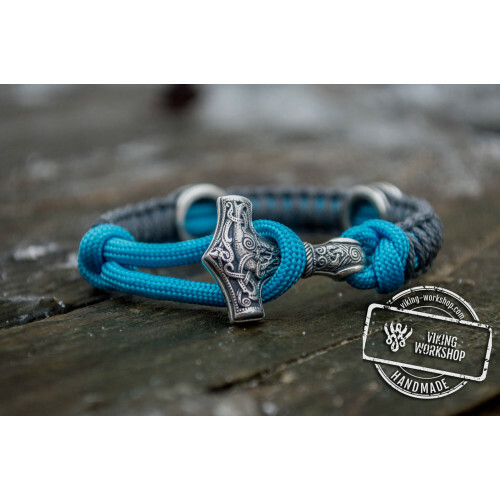 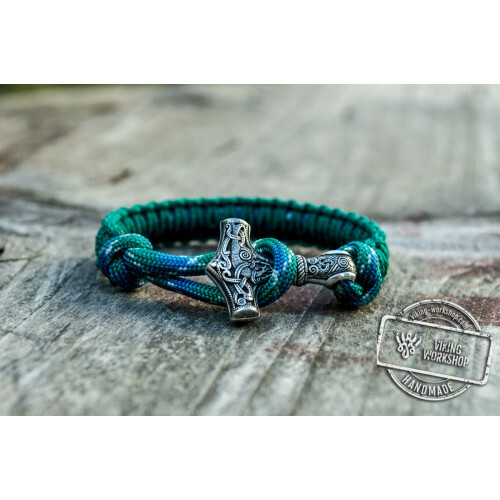 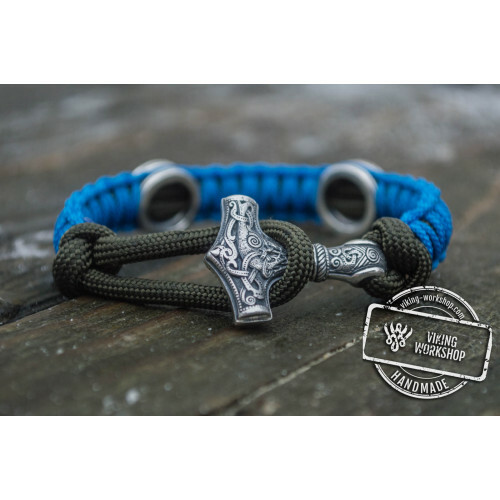 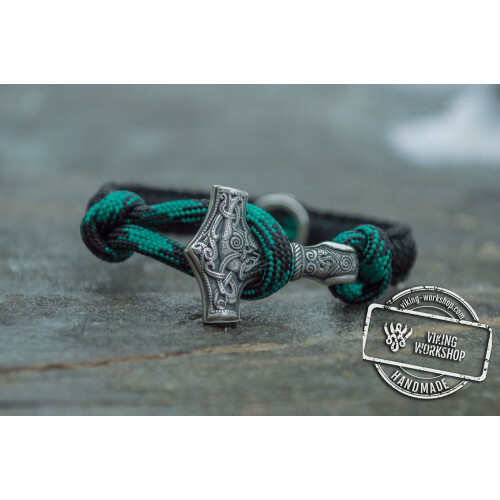 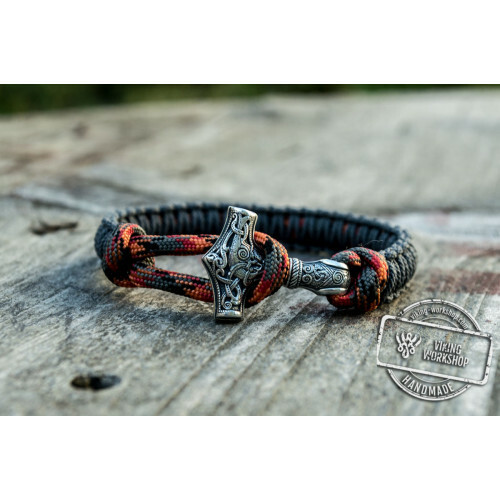 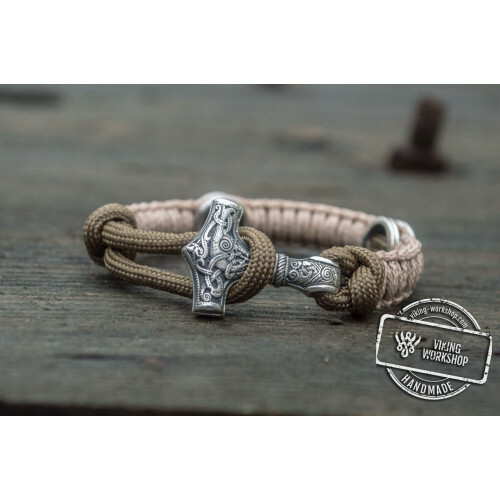 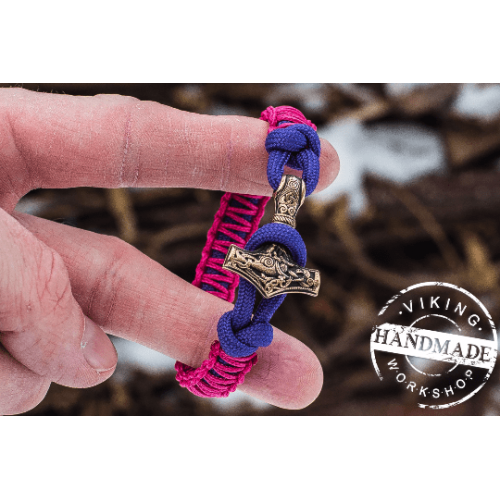 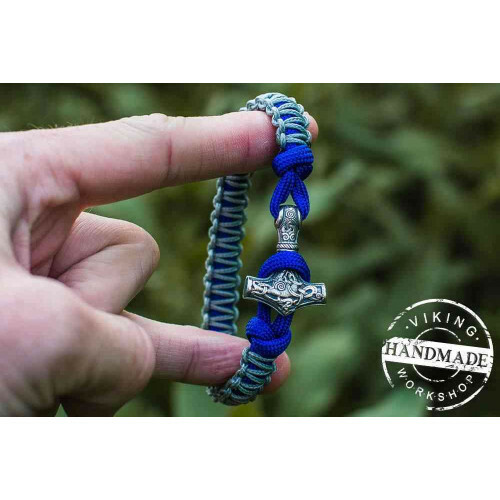 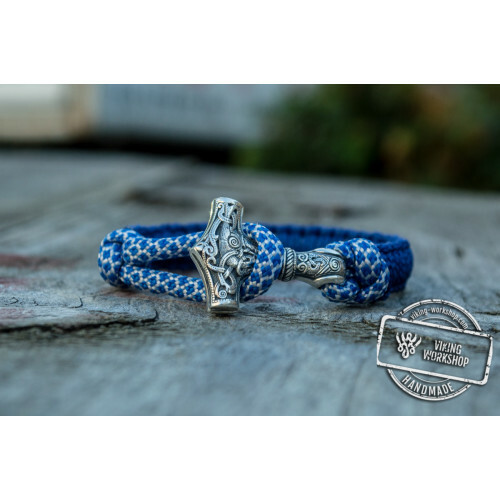 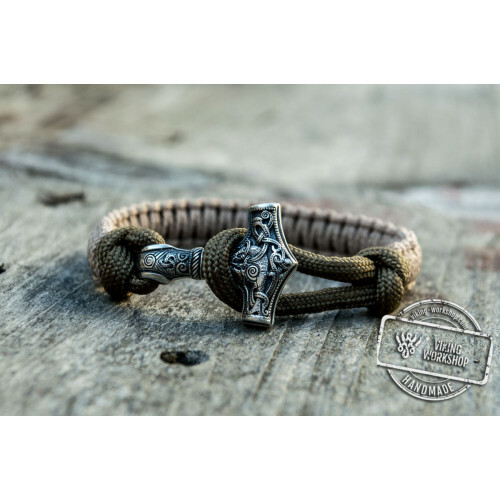 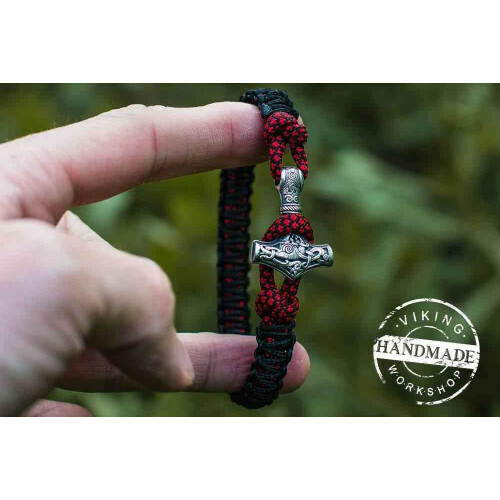 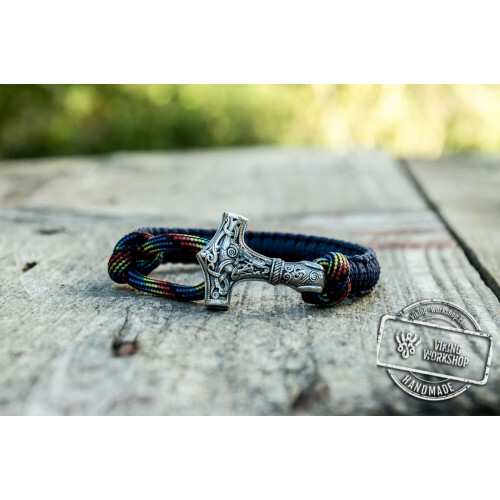 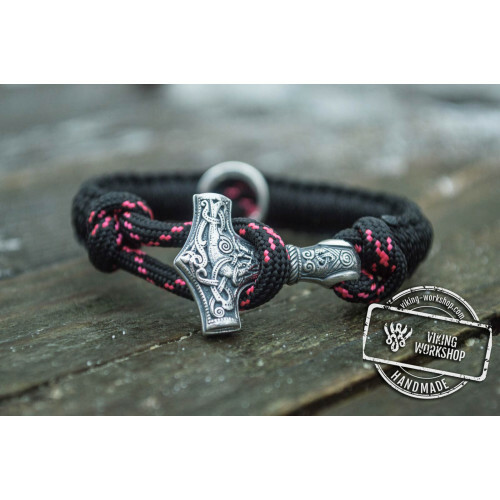 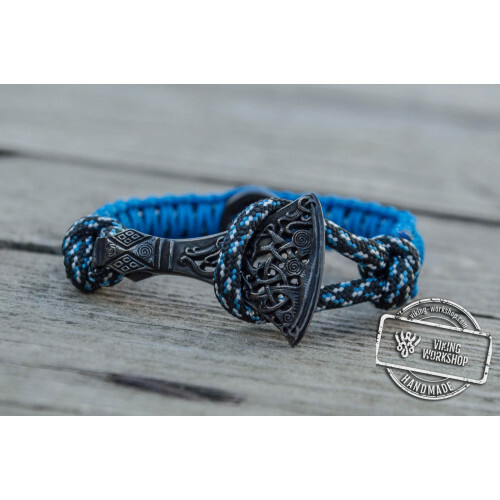 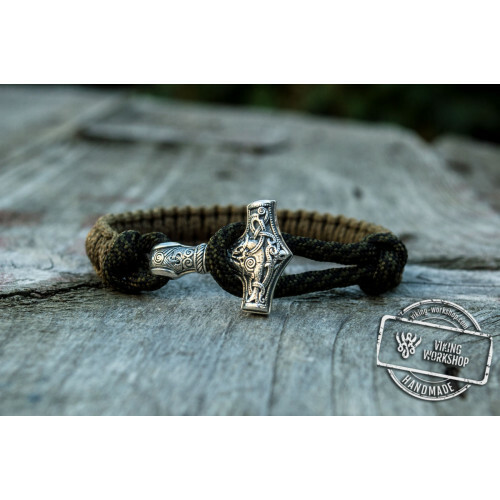 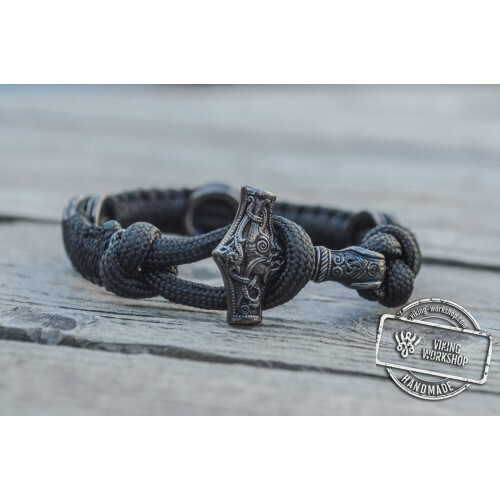 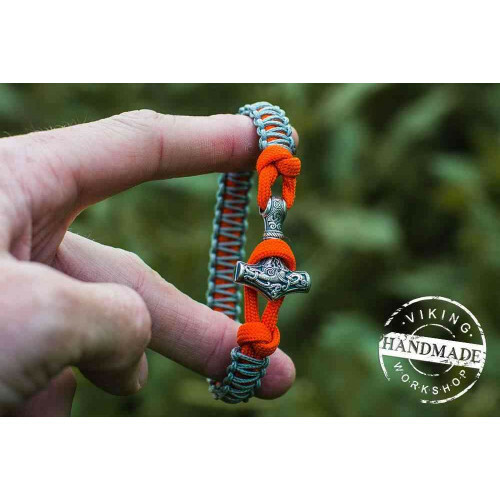 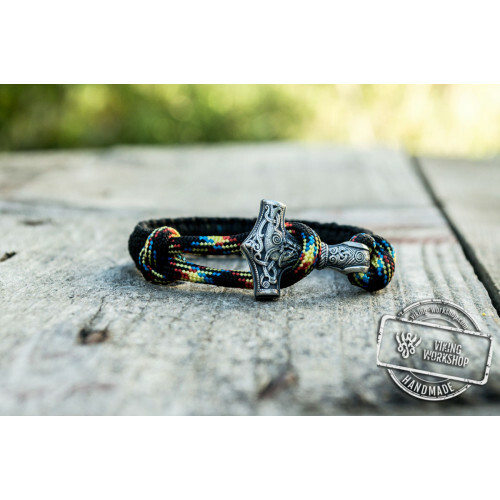 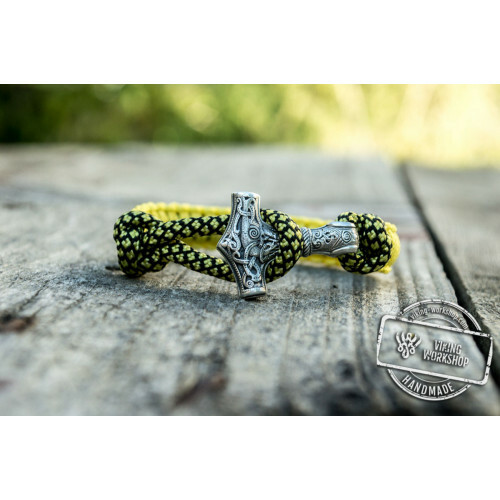 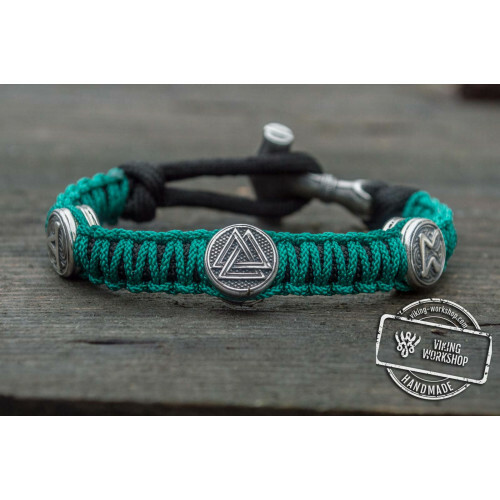 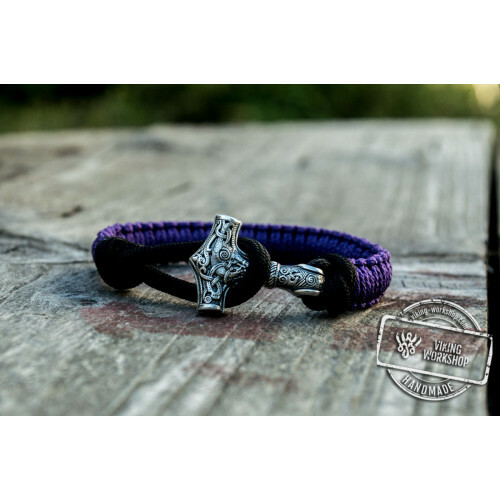 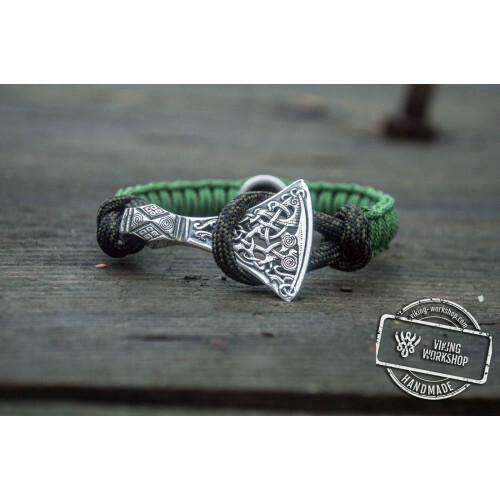 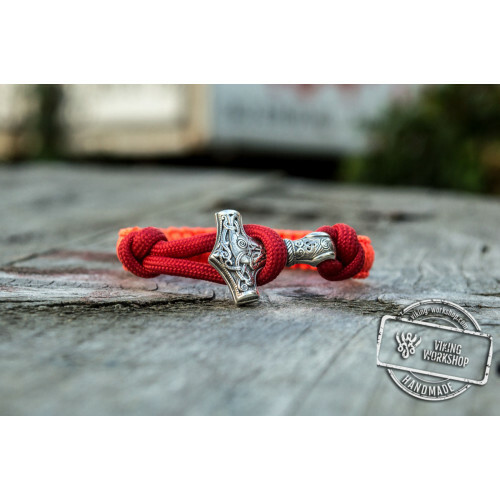 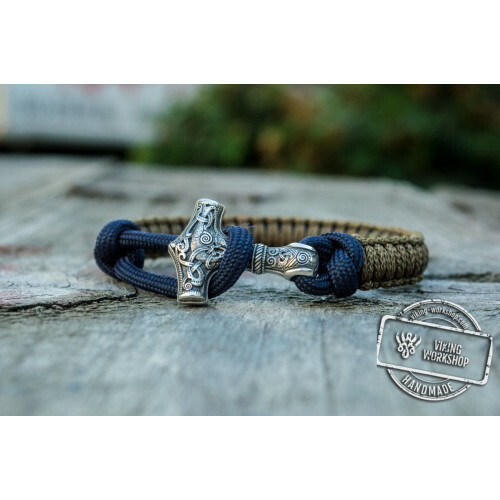 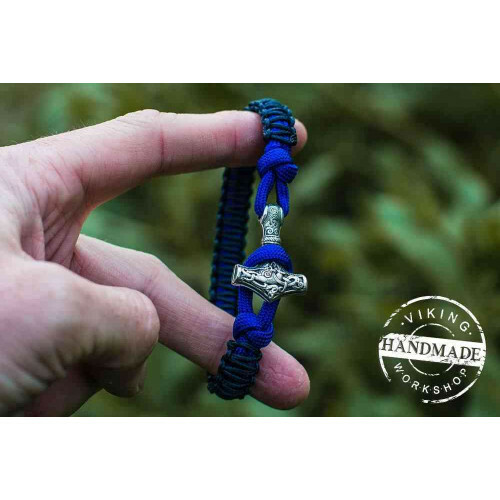 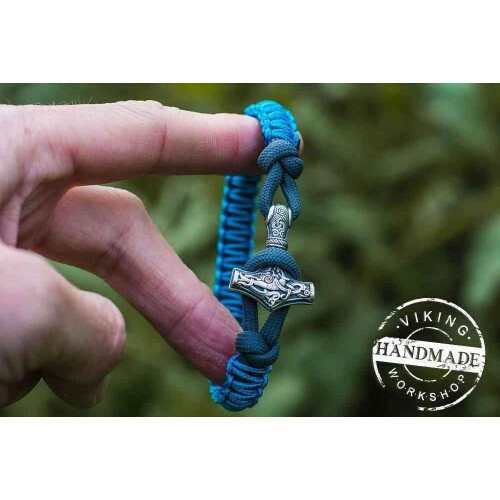 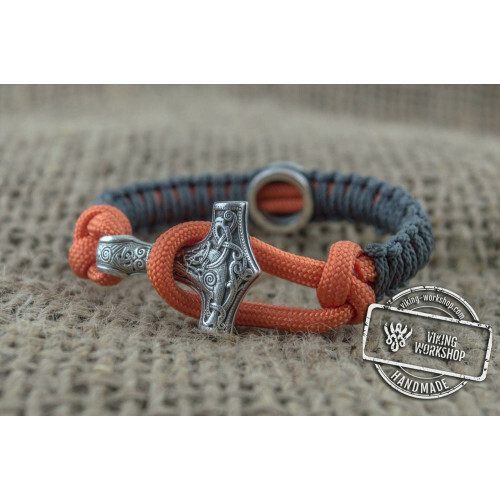 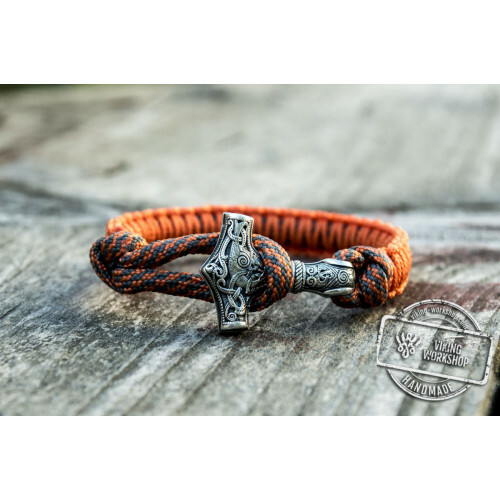 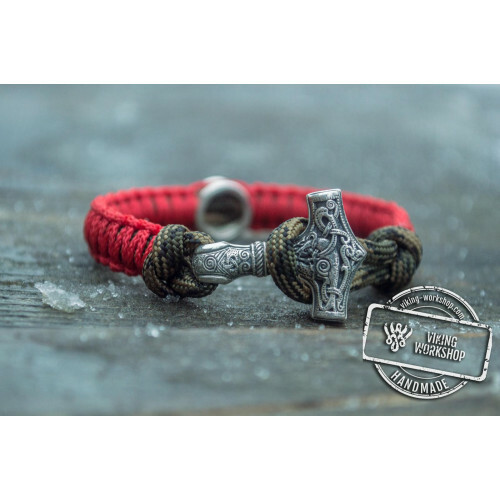 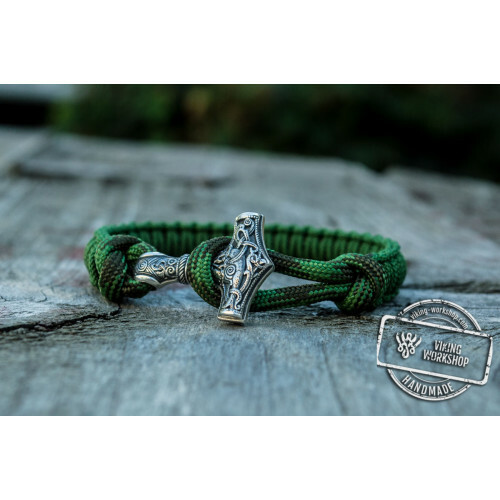 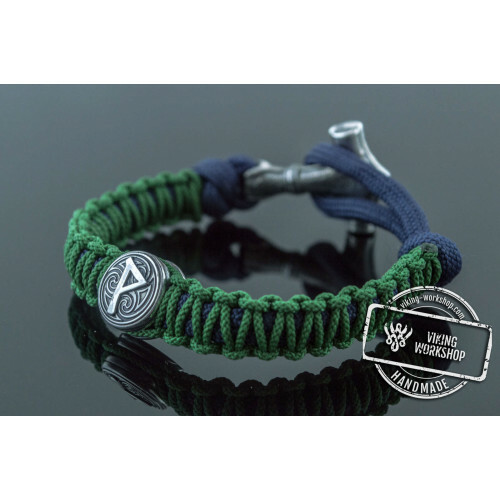 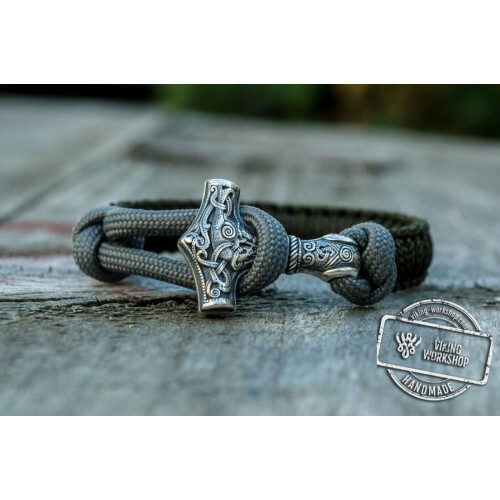 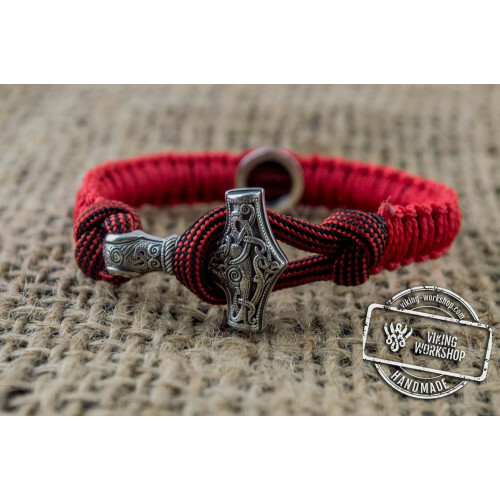 The core of the bracelet is a durable paracord. 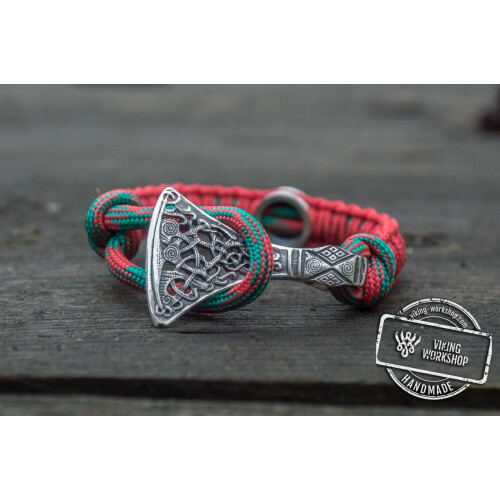 The main one is red colored which gives power and energy. 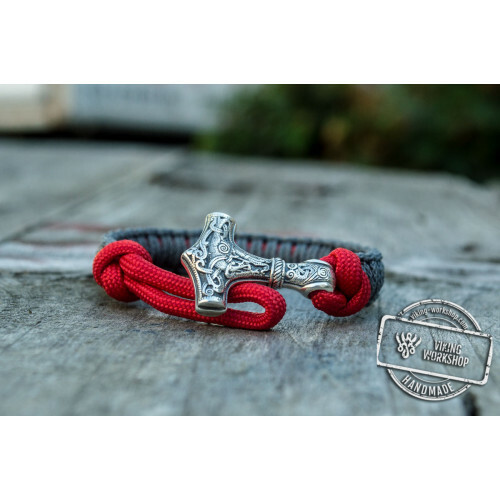 It also stands for vital strength and stamina, vibrance, passion and action. 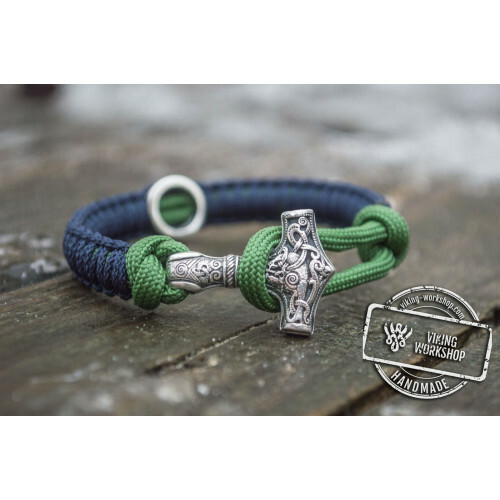 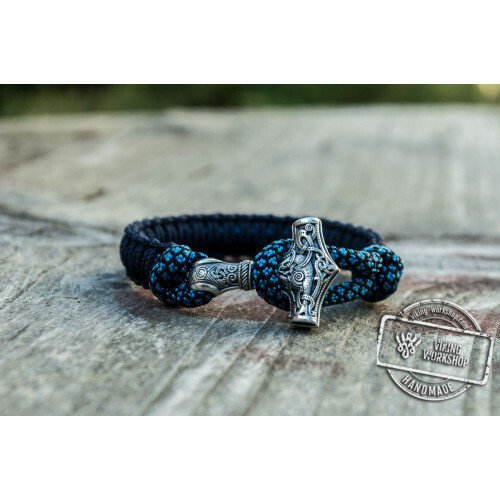 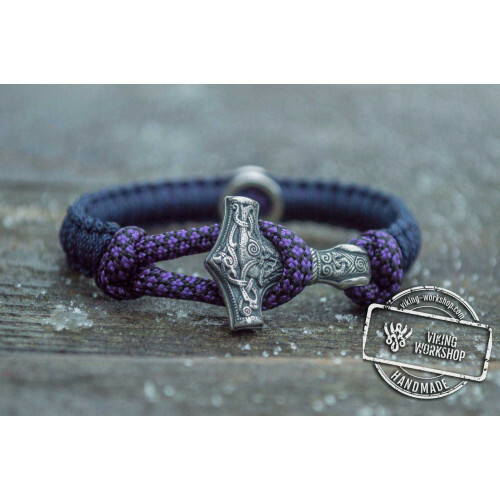 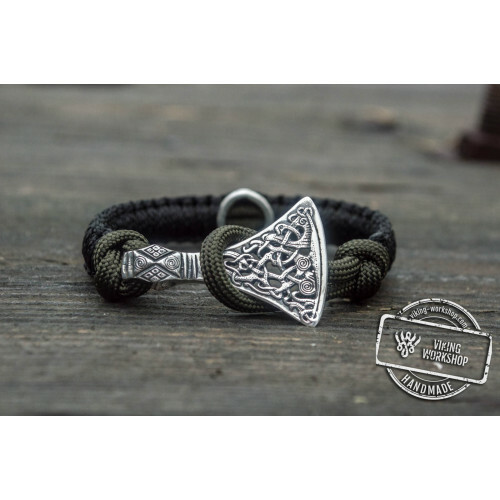 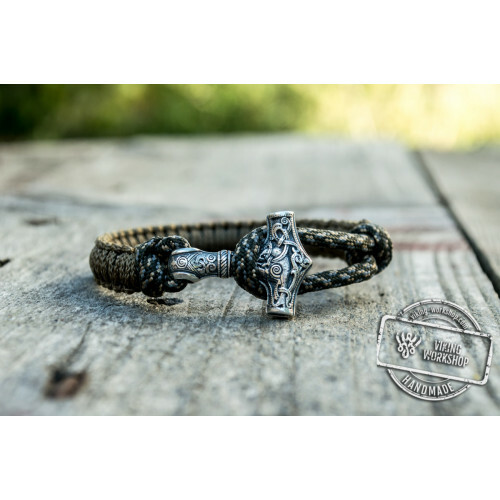 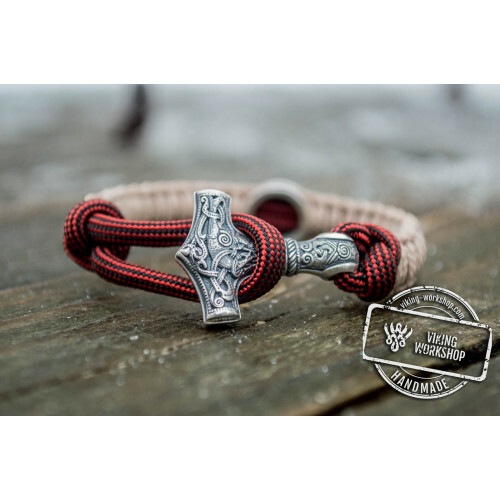 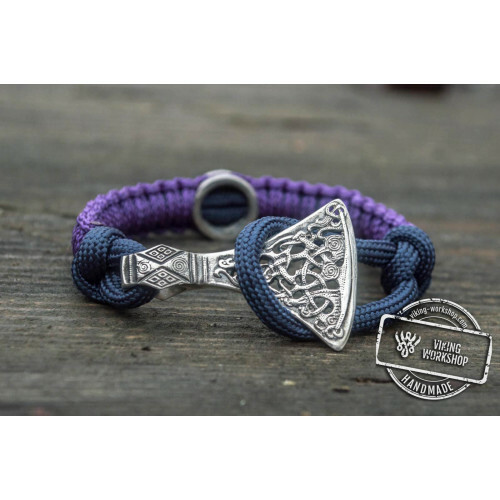 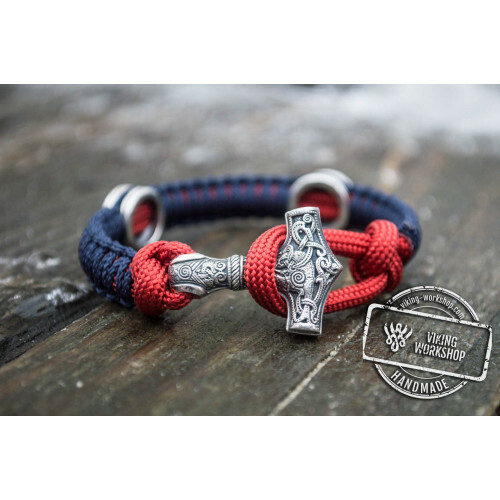 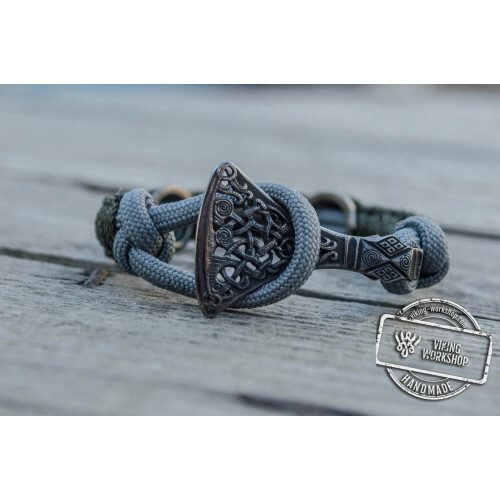 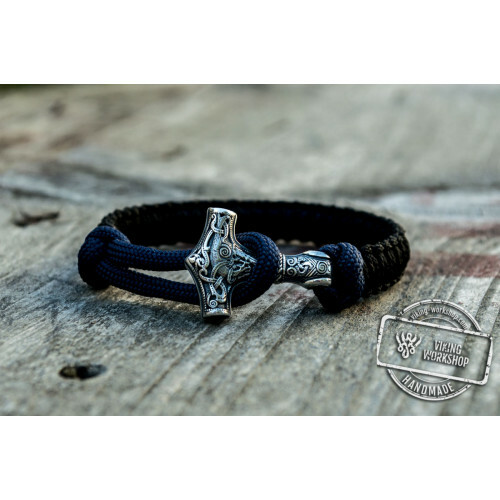 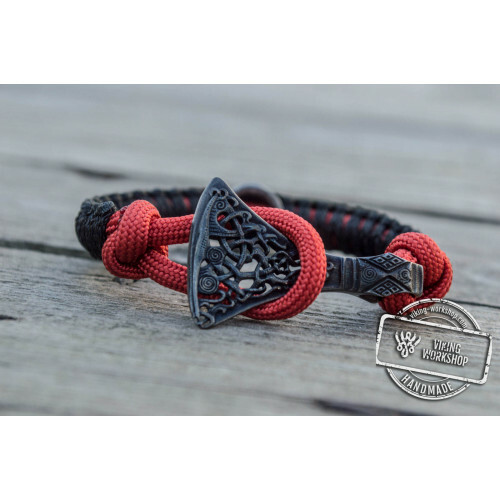 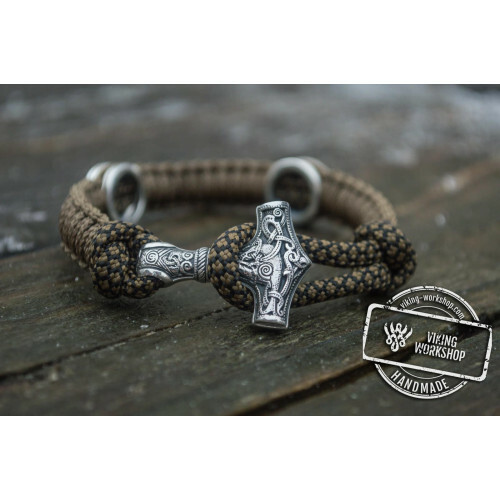 The bracelet is well interwoven and securely locks the protective pendant. 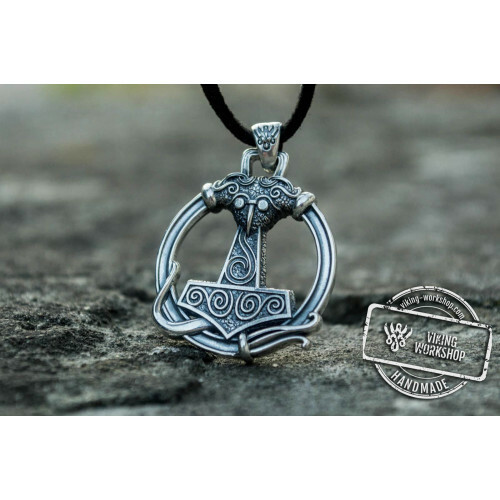 The pendant is made of silver plated bronze which is resistant to various environmental factors. 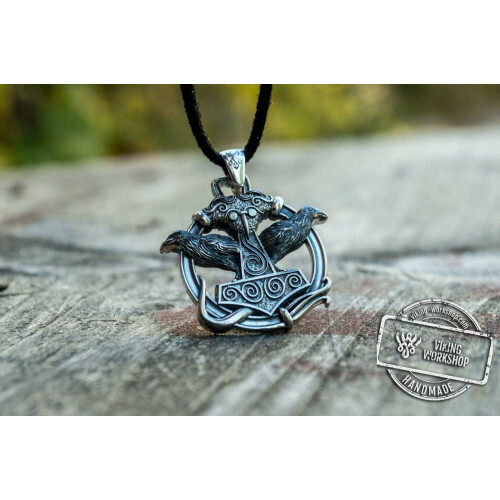 It is resistant to mechanical damages and will look as new over time.